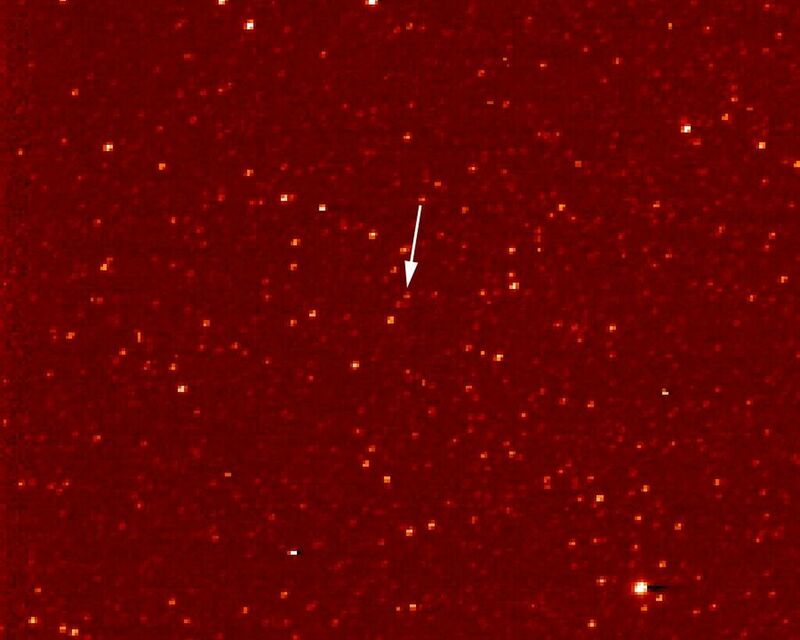 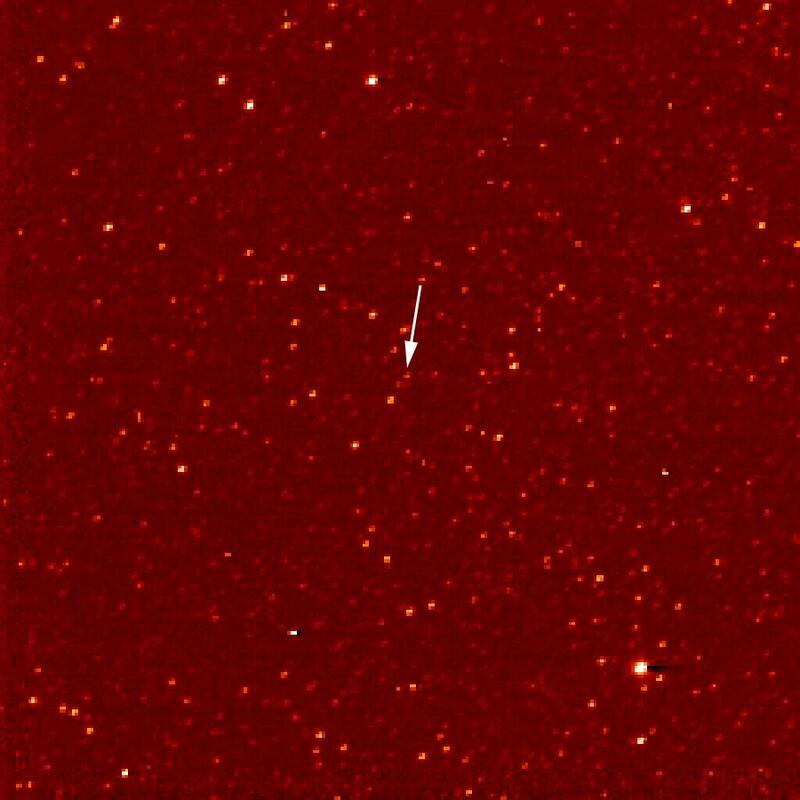 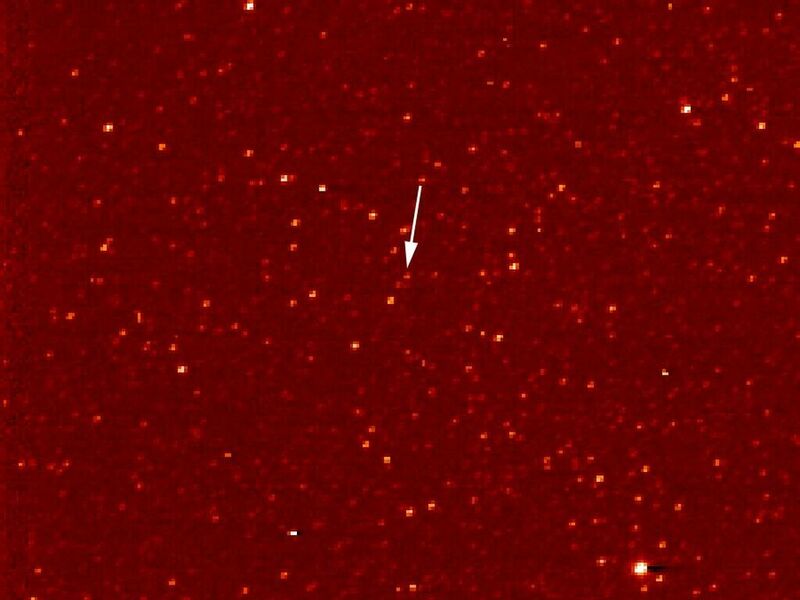 A white arrow marks Pluto in this New Horizons Long Range Reconnaissance Imager (LORRI) picture taken Sept. 24, 2006. Seen at a distance of about 4.2 billion kilometers (2.6 billion miles) from the spacecraft, Pluto is little more than a faint point of light among a dense field of stars. 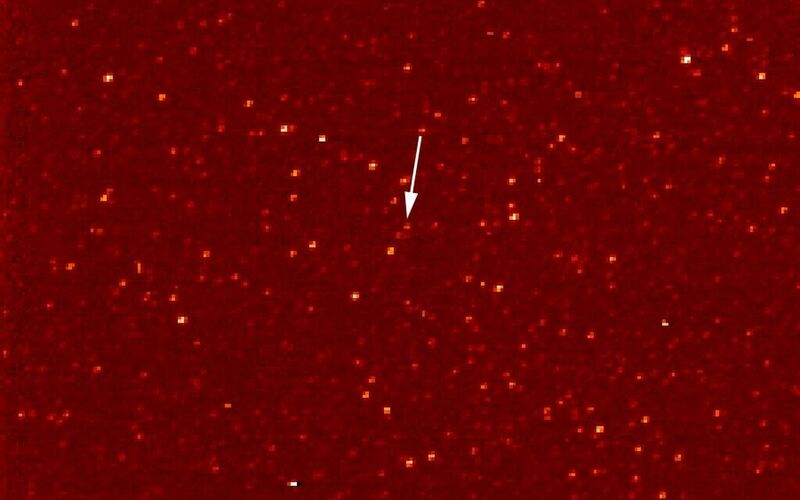 Mission scientists knew they had Pluto in their sights when LORRI detected an unresolved "point" in Pluto's predicted position, moving at the planet's expected motion across the constellation of Sagittarius near the plane of the Milky Way galaxy.